The first has the same design as done for the wedding of Prince William and Catherine Middleton but with the wording. 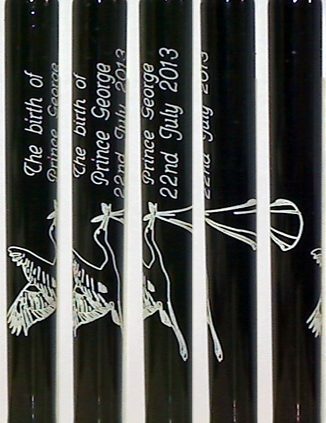 The second design, is a classic white stork carrying a baby with the wording. The image shows the design all around the bobbin.